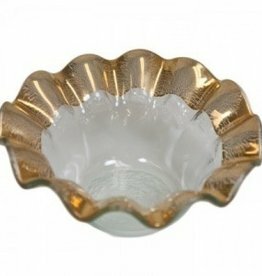 Sized for soup, salads and pasta, Annie has even been known to use the versatile Annieglass Ruffle Soup Bowl as a candle holder. 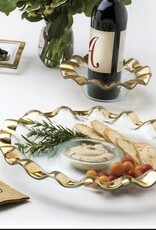 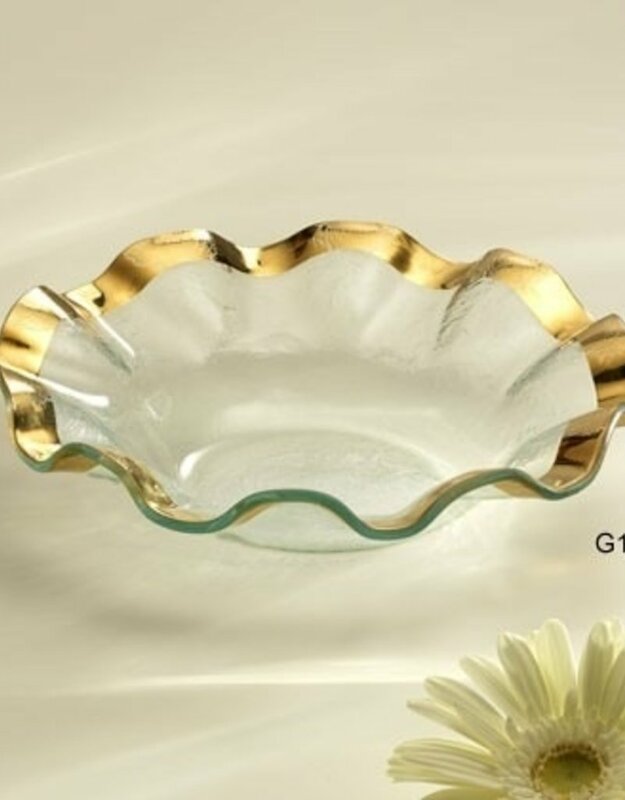 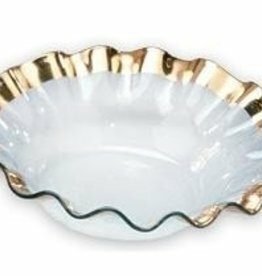 Handmade in California, the ruffled edges hand-painted with 24k gold or genuine platinum make this handmade glass bowl a match with all luxury dinnerware, especially with the Ruffle Collection full line that lets you create your own unique glass dinnerware set. 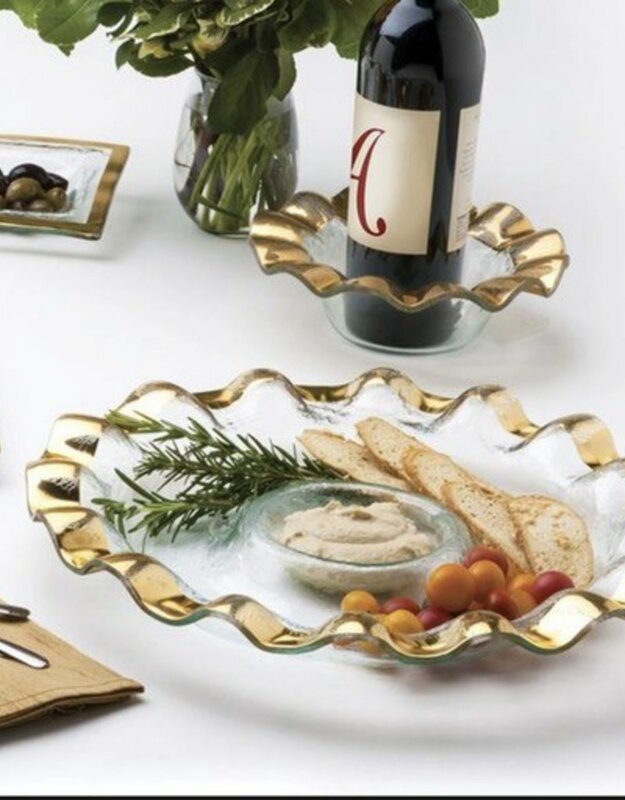 For an eclectic table, mix and match dinnerware from our contemporary Roman Antique, Edgey Collections. 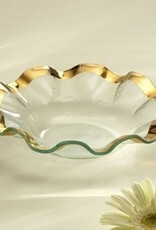 The Ruffle Soup Bowl is a wedding registry top pick.